The white grape probably comes from Austria. Synonyms grouped alphabetically by country are Cimarossa; Rothgipfler Blanc ( France ); Slatki Zelenac, Zelenac Slatki, Zelenac Slatki Bijela ( Croatia ); Grower Reifler, Green Reifler, Raifler, Reifler, Rothgipfler, Rothreifler, Rotreifler, Rotstreifler, White Reifler, Weißer Rotgipfler ( Austria ); Slatzki Zelenac ( Slovakia ); Vöröshegyi, Vöröshegyü, Vörösrangii ( Hungary ). The name derives from the bronze-red tips of the shoots from; This property is also true for other grape varieties. 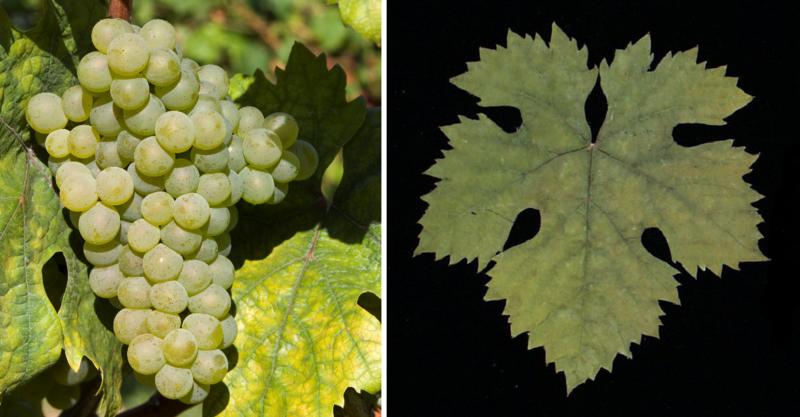 The medium to late ripening, high yielding vine is sensitive to frost, prone to Botrytis and real mildew, and especially for downy mildew. It produces extract and alcohol rich white wines of golden yellow color with aromas of peach and apricot and pleasant acidity. The variety is almost exclusively in the wine-growing region Thermenregion (Lower Austria) cultivated. The acreage in 2009 was 105 hectares. There she is mainly as a partner of Zierfandlers in the local special cuvée Spätrot-Rotgipfler used. In smaller quantities Rotgipfler is also in Germany (Baden, Württemberg), in France (Alsace), as well as in Hungary. Croatia and Slovenia represented. This page was last modified at 11 December 2018 at 18:10.